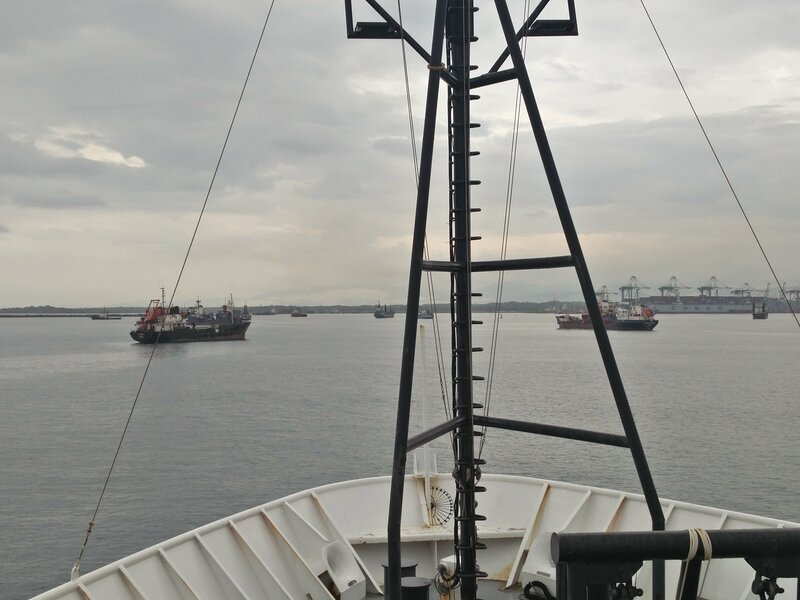 This blog post is brought to you from the entrance of the Panama Canal! Ironically, I have to use my phone to write this as my international data plan is faster than the ship’s satellite internet. One week ago (was it really only a week?) we got underway once more and departed Charleston to make our way back to the Pacific. Hopefully not for three and a half years this time though! Our current project will focus on maintaining the Woods Hole Oceanographic Institute weather mooring off the coast of Chile. This offshore mooring, referred to as STRATUS, provides data and continual monitoring of upper ocean and atmospheric processes in the region. 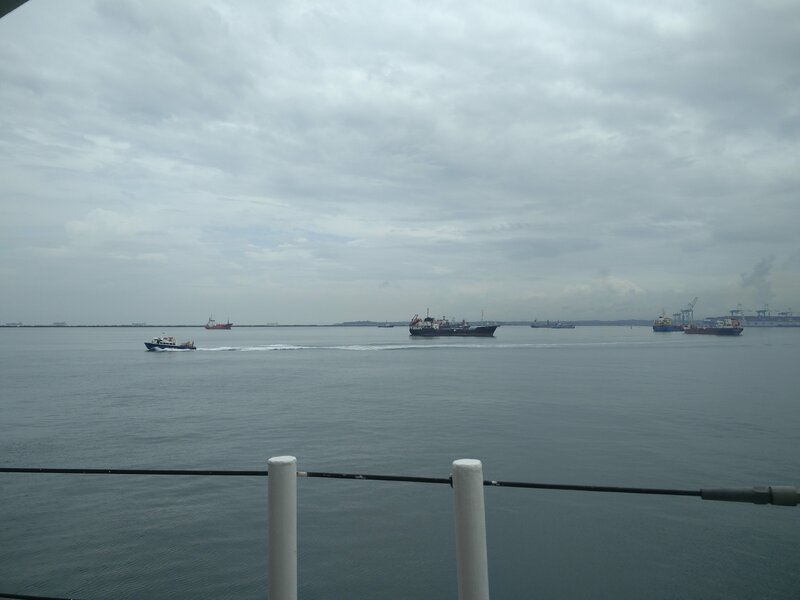 To get to the project site we would have to pass through the Panama Canal, something I’ve been excited about for quite awhile! We made our way south along the US coast, passed north of Cuba, and skirted around Jamaica. After such a long inport, I was concerned my skills would be a little rusty. But it all came back pretty quickly, especially when we came across an unmanned small boat, adrift near Cuba! One moment we’re just steaming on down the track line in auto pilot, the next I’m switching around steering modes and driving alongside the boat to check it out. 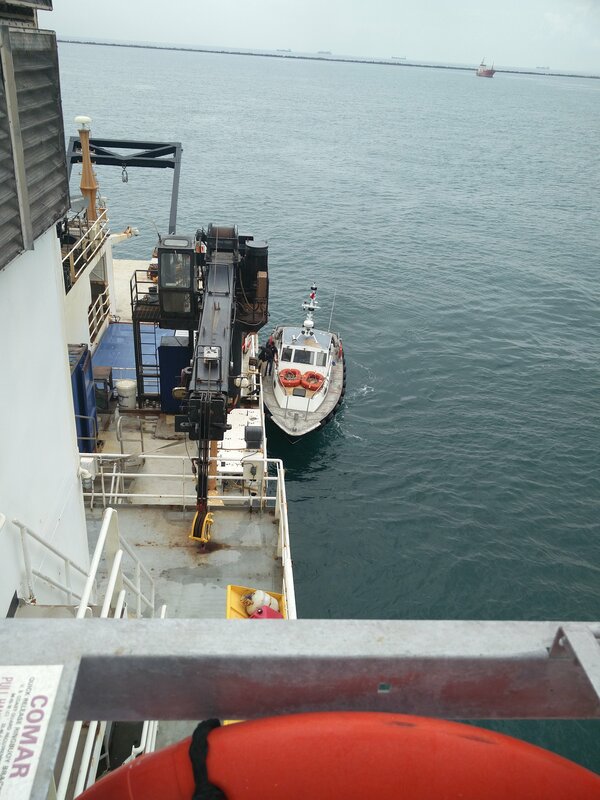 Luckily no signs of distress were noticed, so we took a couple photos and sent them to the US Coast Guard, reporting it as a hazard to navigation. The remainder of the transit was rather uneventful, which in this line of work is a pretty good thing. 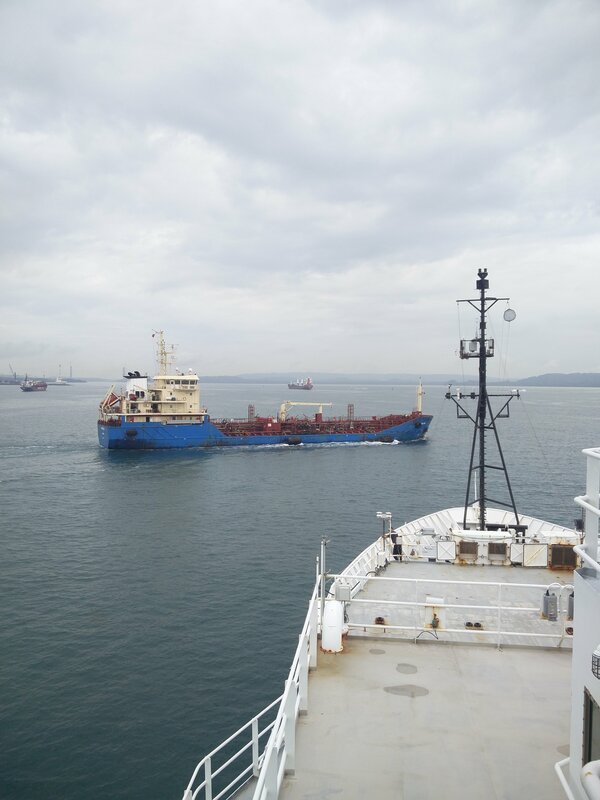 And just this morning we pulled up and dropped anchor just inside the breakwater at the Atlantic entrance to the Panama Canal. Our inspector and local agent are on board, and preparations are underway (pun totally intended) for our pilot arrival and start time around 1400 this afternoon. In the photo above, the black circle hanging from the mast is called a day shape, and one black ball is used to visually signal that the vessel is at anchor.